By Kim Rich. Alaska Northwest Books, 2018. 238 pages. $16.95 paperback. "A Normal Life" picks up where "Johnny's Girl" left off. The title says it all. Rich wanted nothing more than "a normal life" after the instability and tragedy of her early years. It won't give too much away to say that she found that life, not without plenty of adventure along the way. This second memoir is a tribute to strength of character and the kindness of friends, parental figures and strangers. It affirms the resilience of the human spirit and belief in the goodness of others. Rich today lives in Louisiana with her husband and three teenage daughters. She remains close to her Anchorage roots and expects to visit this summer and promote her book. 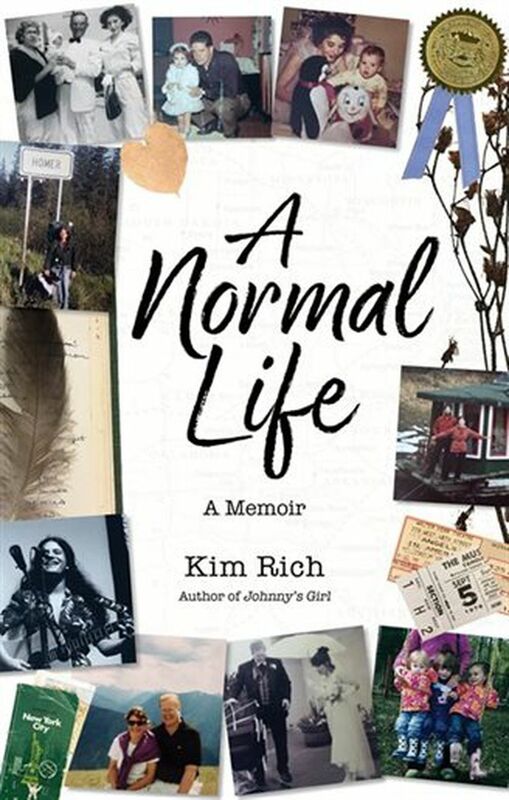 In addition to being Rich's personal story, "A Normal Life" offers an insightful portrait of Alaska in the 1970s and '80s, a time when there was still both a small-town closeness in the state and enormous opportunities for young people. Rich acknowledges some good fortune in being taken into state custody after a period of living on her own, and of having guardians and the parents of friends look after her and treat her as family. (A reader has to conclude that she was a pretty great young person, to have been welcomed into so many homes.) Her schooling included the alternative Steller Secondary School and the University of Alaska, and she held jobs with Anchorage's parks department and as a legislative page in Juneau when she was young. As she says about her parks job, "That's how rich the State of Alaska was back then," to hire playground leaders for summer-long recreation programs. It was also an energizing time to be in the newspaper business, with the two competing Anchorage newspapers building strong newsrooms. After flirting with a number of career choices (social worker, nurse, forest ranger, carpenter, folk singer, radio broadcaster), Rich discovered a passion for writing — particularly for journalism. After college she lucked into a reporting job at the Anchorage Daily News, with the help and mentoring of such renowned reporters and editors as Mike Doogan, Sheila Toomey, Rich Mauer and Howard Weaver. When the 10th anniversary of the completion of the TAPS pipeline came around in 1986 and the newspaper decided on a series of stories related to the pipeline and its impact on Alaska, Rich was assigned the one about the underworld that developed during the pipeline years. In what she calls "an epiphany," she realized she was meant to write about her father and his world. Soon enough, the pipeline angle was abandoned. Rich was given a full six months to research and write, and the final series, in three parts on consecutive Sundays, was published in 1987. It was called "Family Secrets." After that, there was a book deal, a movie contract, an M.F.A. degree from Columbia, and a marriage. A normal life. One might think it an extraordinary life — a deservedly flourishing life for someone who never saw herself as a victim and who worked enormously hard at everything she did. As part of her book research, Rich tracked down relatives on both sides of her family, including her father's father, living in Miami Beach. Although the man had never been a true father to his son, Rich and he became close and she took care of him in his later years. A hefty section of "A Normal Life" deals with what Rich calls in the book her grandfather's "kidnapping by gypsies." As her grandfather descended into dementia, a sketchy mother and daughter from Ukraine, in the country illegally, took advantage of him; they disappeared with him and he ended up married to the mother. The story of Rich's sleuthing and the great lengths she went to to rescue an abusive man she could so easily have left behind is a testament to family loyalty and human kindness — as well as to the remarkable energy of a woman determined to find her way to "a normal life." The latter part of the book addresses Rich's desires for a child as she entered her 40s. Readers with interests in infertility and adoption will find this of particular interest. In the end, Rich and her husband adopted and had twins — three babies within the same year. It's a joyous ending to a book dedicated to the daughters. "Normal," in the case of Kim Rich, certainly does not mean dull.